Laugh at life's grammatical blunders and then live though them with the erasers for big mistakes. 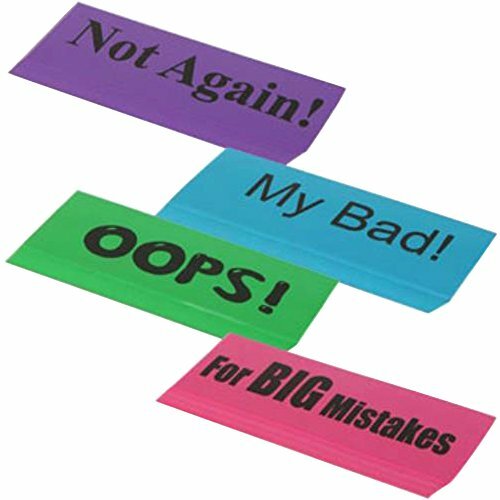 Jumbo erasers are 5½" and sure to last through all your writing mishaps and number blunders without letting you down. Great for schools, offices, giveaways, and prize boxes. Perfect for big mistakes! Each eraser is approximately 5 x 1.75 x 0.5 inches! Blue - "My Bad!," Pink - "Forr BIG Mistakes"
Purple - "Not Again!," Green - "OOPS!"